A world-class cancer centre, the Centre of Excellence (CoE) in Oncology offers comprehensive care for management for all types of cancers, in both adults and children. The team of internationally and nationally trained Medical, Surgical and Radiation Oncologists here, with the help of state-of-the-art diagnostic and therapeutic technology, provide patients with optimal, evidence-based and customised treatment plans for removal of cancer cells from the body through medication, surgery and radiation. Multi-disciplinary in approach, the treating Doctor, after understanding the requirement of the patient completely, takes inputs from all concerned Specialities before deciding on the ideal treatment plan. Patients are also provided psychological counselling, dietary advice and rehabilitation services if required and open discussions on all treatment options available, the objective of treatment- whether it is curative, palliative or prevention of recurrence and expected outcomes are encouraged. Equipped with highly advanced technical support for chemotherapy, bone marrow transplantation, radiation and surgery, the CoE is the first facility in Kerala to offer Minimally Invasive Robotic Cancer Surgery. The Medical Oncology Department at the Centre of Excellence in Oncology provides advanced care ranging from home based oral therapies to complex chemotherapy procedures, targeted therapy, biotherapy, bone marrow transplantation and metronomic chemotherapy to patients of all age groups with solid organ cancers and haematological malignancies. State-of-the-art in terms of facilities offered, the division has specialised infrastructure including positive pressure rooms for management of critically ill patients with cancers like leukaemia, a 10-bed Bone marrow transplant unit (hemopoietic cellular therapy) with dedicated apheresis suite, day care infusion therapy unit, cryopreservation unit, step down unit and intensive care enabled service. The team of Oncologists here, with the help of advanced diagnosis and prognosis (diagnostic and prognostic ) tools like molecular methods, genomics, proteomics and theranostic and supportive services from the haematology lab, create personalised and optimal treatment strategies, with strict adherence to NCCN (USA) and ESMO (European) guidelines. The department of Surgical Oncology at the Centre of Excellence in Oncology offers a wide spectrum of surgeries for cancers in the breast, head and neck, thoracic region, gastrointestinal malignancies, gynaecological malignancies, Pelvic malignancies, bone and soft tissue sarcomas. With focus in cancer surgery shifting from conventional radical resection surgery to conservative surgery, the department, with support from Medical and Radiation Oncology, performs highly advanced organ preservation surgery along with reconstructive surgeries like complete breast reconstruction using flaps and implants, limb preserving surgeries for bone and soft tissue tumours, limb salvage surgery for bone tumours with modular prosthesis, free fibula flaps and extra-corporeal radiation intra-operatively. It is also first facility in Kerala to offer Minimal Access Robotic Surgery for colo-rectal malignancies, uterine cancers and cervical cancers. The department of Radiation Oncology at the Centre of Excellence in Oncology is a highly advanced facility providing radiation therapy services for management of cancers. The core team, comprising Radiation Oncologists, Medical Physicists, Radiation Technologists and Oncology Nurses, with the help of high-end radiation therapy equipment, render personalised, optimum, evidence-based treatment, with minimal side effects. The department, which believes in educating the patient and their caregivers on radiotherapy, provide ample time for discussing various treatment options with the Consulting Doctor and also give them leaflets outlining the technical aspects of radiation. They are also shown a short film on radiation treatment delivery. Equipped with state-of-the-art technical support to provide comprehensive radiation treatment services, the department has Varian “True Beam” machine for teletherapy (external) radiation treatment - a first of its kind in Kerala. The most advanced version of Varian’s Linear Accelerator series, its unique feature is the Flattening Filter Free (FFF) technology. The Elekta machine for HDR -Brachytherapy (Internal radiation) has sophisticated applicators for various sites including head and neck, breast, cervix, endometrium and oesophagus. This machine ensures high-precision treatment, maximum comfort and minimal side effects. Palliative care is all about providing specialized, multidisciplinary medical care to patients suffering from serious illnesses, with an aim to enhance their quality of life. A treatment mode that integrates the psychological and spiritual aspects of patient care, palliative therapies focus on providing maximum possible relief from the symptoms, pain and stress caused by the illness, with utmost consideration and compassion. According to WHO (World Health Organisation), Palliative care is defined as an approach that improves the quality of life of patients and their families facing the problem associated with life-threatening illness, through the prevention and relief of suffering by means of early identification and impeccable assessment and treatment of pain and other problems, physical, psychosocial and spiritual. Palliative care are provided in conjunction with other therapies that are intended to prolong life like chemotherapy and radiation, right from the time of diagnosis. This ensures the patient maximum relief from the associated pain and discomfort caused by the illness as well as the high-intensity therapies. The palliative care plan for each patient is created after a detailed assessment of his or her medical condition, symptoms and existing/ possible complications and psychosocial background, so that the patient remain active. Apart from managing pain, the psychological/ spiritual aspects of the treatment affirm fact that life and death are natural processes. The families of the patient too are provided psychological support including counselling so that they cope up with the intense stress and bereavement, which is inevitable. A child being diagnosed with a life-limiting illness is the most devastating thing that can happen to a family. Palliative treatment in children and young adults involve a comprehensive, compassionate approach to care, with strong focus on enhancing the quality of life. The course of the treatment is planned after taking into consideration the physical, emotional, social and spiritual aspects, as the needs of children are very different compared to that of adults. The family’s emotional needs are taken care of too, with continued counseling and support. This enables them to cope up with the grief and them live through what is probably the worst time of their lives. The Palliative Care department at Aster Medcity has an highly-trained team of doctors who specialize in providing pain management and palliative treatment to patients with life-limiting diseases including cancers, end stage renal and liver diseases, cardiac and neurological issues. Multidisciplinary in approach, they provide guideline-based care to patients of all ages, with the support of trained nurses and therapists. The department also offers palliative care for geriatric (elderly) patients. 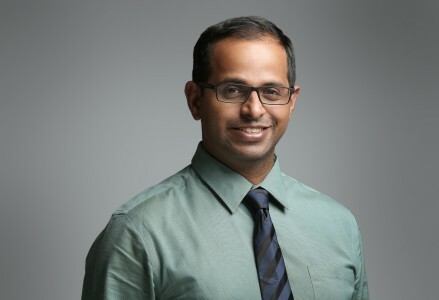 An internationally acclaimed Surgical Oncologist with more than 25 years of experience, Dr. Jem Kalathil is an expert in radio-guided surgeries including sentinel node techniques, complex sarcoma surgeries, organ preserving surgeries and management of GI malignancies. Trained at some of the finest centres in the United Kingdom, Italy and India, he is one of the most experienced oncoplastic and reconstructive breast cancer surgeons in India. 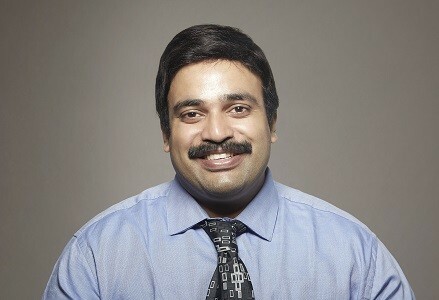 Dr. Jem Kalathil is also an international consultant in the use of photodynamic therapy for treatment of cancer. A Hematologist with more than 18 years of experience, Dr. Ramaswamy is an expert in management of malignant and non-malignant diseases of the blood, in patients of all ages. His areas of special interest are hemato oncology and stem cell transplant. 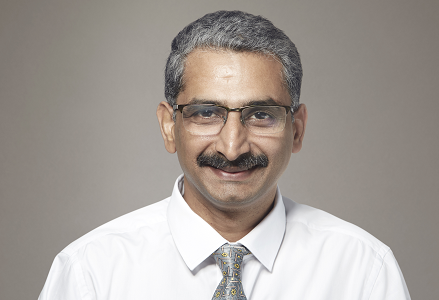 A Medical Oncologist with more than 10 years of experience, Dr. Arun Warrier specialises in comprehensive management of solid tumours and lymphomas in adults. Trained at some of the finest institutions in India and United Kingdom, he is an expert in providing optimal, multidisciplinary cancer care by combining advanced diagnostic and treatment modes including genomic risk stratification, molecular targeted therapy and immunotherapy, based on international protocols. 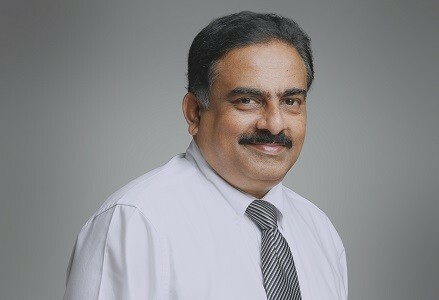 Dr. Arun’s area of special interest is Gastrointestinal Oncology. Trained in multidisciplinary management of various malignancies, ranging from solid tumours to blood cancers – both adult and paediatric. Expert in planning optimal, customised treatment strategies based on the patient profile and all other medical parameters. Focuses on providing the best possible outcome with a holistic approach and helps the patient take an informed decision. Actively encourages involvement of counsellors during the entire course of treatment to help patients bear with the symptoms and stress. Experience in providing palliative care. Have conducted several awareness programmes on the need for early cancer detection and prevention by adopting a healthy lifestyle. 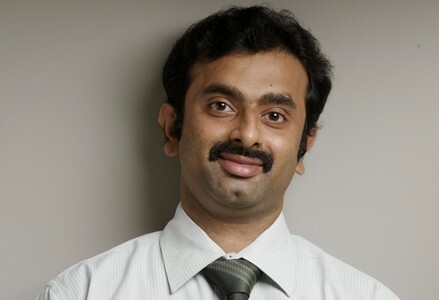 Dr. Subin Sugath is Consultant Orthopaedic Oncosurgeon, with more than 8 years of experience in treating bone cancers. Trained extensively in management of bone tumours both adults and children, he is an expert in limb preserving surgeries for both benign and malignant bone tumors and also surgical treatment for metastatic lesions in spine and other bones. Bone cancer management in children and adults. 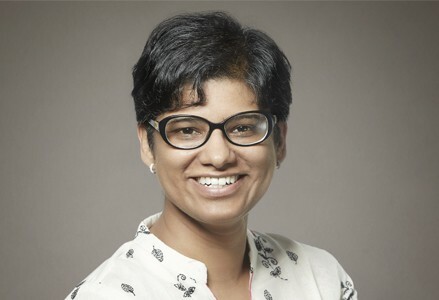 A Head and Neck Surgeon with more than 11 years of experience, Dr. Mayuri Rajapurkar specializes in surgical management of cancers that affect the mouth, throat, nasal passages, sinuses, voice box, salivary glands, thyroid gland and skin of the scalp, face and neck, with strong focus on optimising functional and aesthetic outcomes. Trained at some of the finest institutes in India and the United States, she is an expert in highly advanced procedures like Trans Oral Robotic Surgery (TORS) and Transoral Laser Microsurgery (TLM). Six published research articles in peer reviewed journals. A Radiation Oncologist with over 11 years of experience, Dr. Durgapoorna is an expert in the radiotherapeutic management of malignant / benign neurological diseases with more than a decade’s experience in performing Cranial Radiosurgery. She believes in providing ethical, evidence-based management of cancers with a focus on improving the quality of life of patients. Her training at the University of Texas MD Anderson Cancer Center, which is one of the most reputed cancer care facilities in the world, enriched her knowledge in advanced therapies / techniques like stereotactic body radiotherapy and image-guided treatments for tumours in extracranial sites, especially the spine, the gastro intestinal tract and the lung. 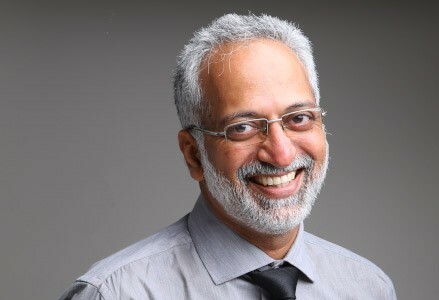 Dr. Durgapoorna has extensive experience in Stereotactic Radio Surgery (SRS), Stereotactic Body Radiotherapy, Image Guided Radiotherapy, Intensity Modulated Radiotherapy including Volumetric Modulated Arc Therapy, Helical Tomotherapy and CyberKnife procedures along with Brachytherapy, Total Skin Electron Therapy (TSET), 3D Conformal Radiotherapy and Conventional Radiotherapy. Apart from Neuro Oncology, her areas of interest include the management of head and neck, breast, thoracic, gastro intestinal and gynaecological cancers. Experience in all aspects of radiation oncology, in both adults and children. Trained extensively in radiotherapeutic management of various benign and malignant neurological conditions. Worked with the senior most Radiation Oncologist and the finest Neurosurgeons in the State, which helped her understand the nuances of Cranial Radiosurgery (SRS) for brain metastasis, benign brain tumours and for functional indications. Travel Grant Recipient to attend The State of the Art in Radiation Oncology, Biology, Physics held at San Antonio, Texas, USA by the American Society of Therapeutic Radiation Oncology. Served multiple times as an Examiner for the award of the degree of MD in Radiotherapy. Published numerous research articles in international peer reviewed journals. 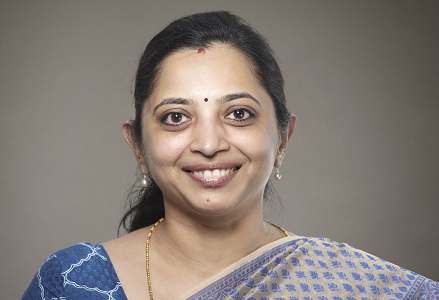 Worked as Associate Professor at the Department of Radiation Oncology, Amrita Institute of Medical Sciences, Kochi for over 10 years, where she was associated with MD / DMRT (Diplomate Medical Radiation Therapy) & DNB (Diplomate National Board) in Radiation Oncology. She was also associated with Fellowship courses in Surgical Oncology, Neuro Oncology, Head & Neck Oncology and Bachelor of Science programme for MRT students, radiotherapy technologists, nurses and technicians. Believes in a holistic approach to treatment and providing continuum of care and palliation. Proficient in Malayalam, English, Hindi, Kannada. A Radiation Oncologist with over 8 years of experience, Dr. Jose Paul is an expert in providing advanced radiotherapy for management of brain, head & neck, breast, lung, liver, gastrointestinal, urological and gynecological cancers, based on international treatment standards / protocols. A Fellow of the Royal College of Radiologists, United Kingdom, he is well-versed in advanced stereotactic and image guided radiotherapy techniques like Stereotactic Radio Surgery (SRS), Stereotactic Body Radiation Therapy (SBRT), Image Guided Radiation Therapy (IGRT), Rapid Arc therapy, Intensity Modulated Radio Therapy (IMRT) and Three-Dimensional Conformal Radio Therapy (3D CRT). Trained as Clinical Fellow at the Derriford Hospital, Plymouth Hospital NHS Trust, United Kingdom. Extensively trained in advanced stereotactic body radiotherapy and image-guided treatments for lung, liver and gastrointestinal tumours. Cranial Radiosurgery (SRS) for brain metastasis, benign brain tumours and other neurological conditions. Image-guided radiotherapy of the prostate and other urological malignancies. Radiotherapeutic management of head & neck, breast, gastrointestinal and gynaecological malignancies. Clinical application of modern radiation techniques including 3DCRT, IMRT, IGRT and Rapid Arc. Involved in multidisciplinary management of soft tissue sarcomas and childhood cancers. “Best Outgoing Student Of The Batch” in Radiation Oncology, Adyar Cancer Institute. Dr. N. Kalavathy Award for the best paper at AROI –TNCON 2009. 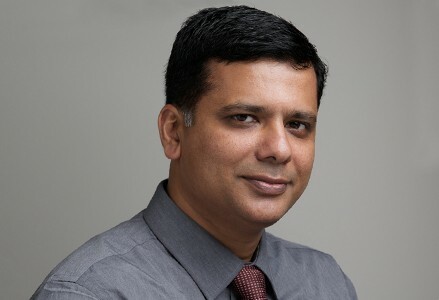 An anaesthesiologist who is an expert in pain management and palliative medicine, Dr. Ramkumar P has more than 20 years of experience to his credit. Trained at some of the best medical institutions in the country, he excels in multi-modal analgesia and interventions for chronic head ache, neck pain, shoulder pain, lower back pain, gluteal pain, chronic abdominal and pelvic pain, knee pain, peripheral vascular disease, post herpetic neuralgia, phantom limb pain and also the total care/ palliative care for cancer patients. He is also an expert at managing recurrent ascites and pleural effusions with indwelling catheter. 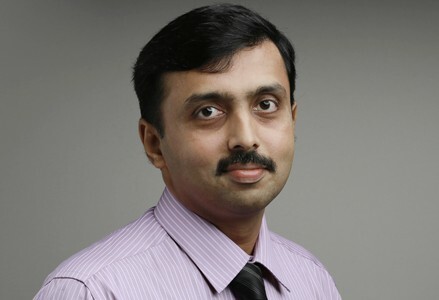 A Hematologist and Hemato Oncologist, Dr. Deepak Charles is trained in comprehensive management of malignant and non-mailgnant disorders of the blood, His areas of special interest include management of bone marrow failure syndromes, myeloproliferative neoplasms and stem cell transplant. 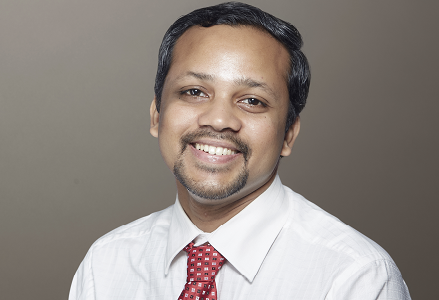 A Surgical Oncologist / General Surgeon with more than 4 years of, Dr. Sharath’s areas of special interest include management of sarcoma and complex gynaecological and breast malignancies. A General Physician with experience in medical management of malignancies. Dr. Fayaz’s areas of special interest include bone marrow transplant and solid organ tumours in children. 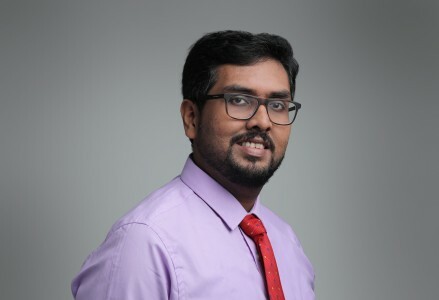 A General Surgeon with more than 3 years of experience, Dr. Sivaprakash Pillai has received extensive training in oncoplastic surgery, gynaecological oncosurgery and breast reconstructive surgery. Of the 24 state-of-the-art operating theatres, 12 are already functional. The first totally integrated OTs in Kerala, these spacious theatres provide modern technology that facilitates collaborative work. You’ll have access to the most advanced technology, ranging from blood work to imaging services, ensuring a distinct advantage when it comes to diagnosis and treatment. Call 155218 for life threatening accidents, poisoning, heart attack, strokes and paediatric emergencies. Our ambulances are mobile ICUs on wheels, manned by trained personnel.